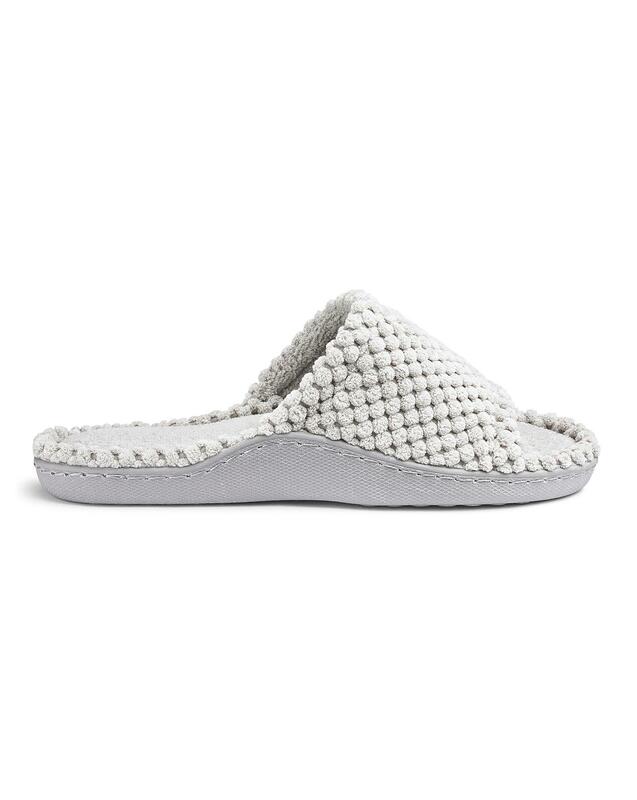 These open-toe mule slippers have extra padding for added underfoot cushioning. Choose from print or plain uppers. Shaped sole unit to support your feet. Sizes available: S(3-4), M(5-6), L(7-8).